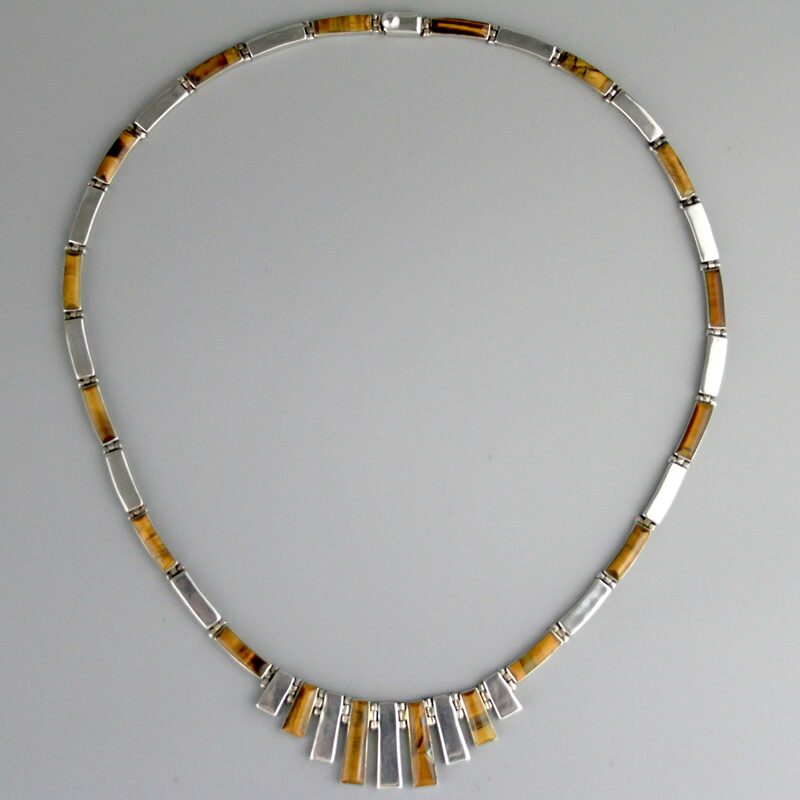 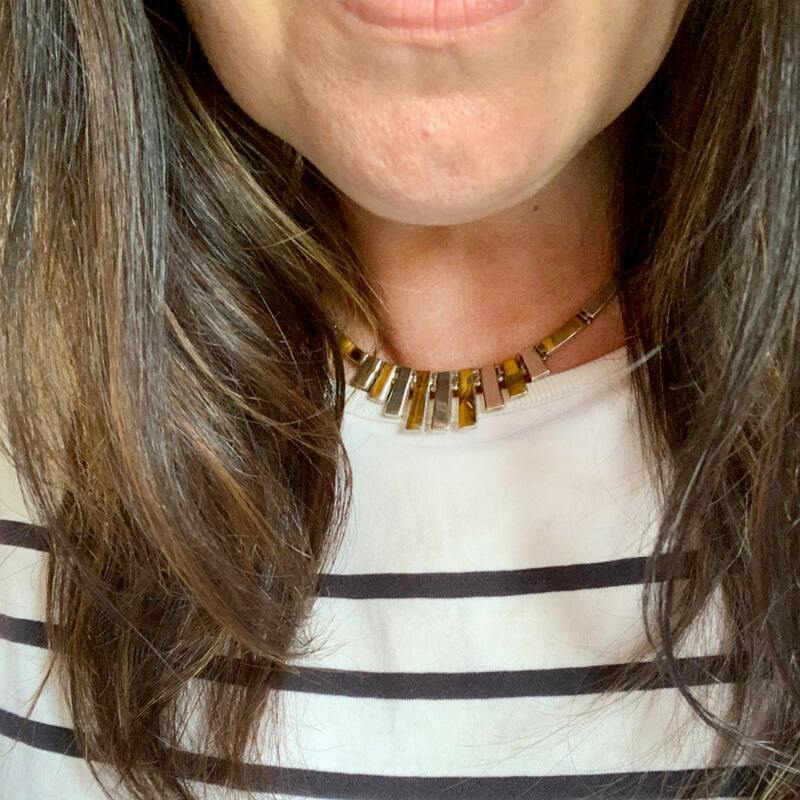 Vintage handmade in Mexico c1980 tigers eye and sterling silver bib necklace. 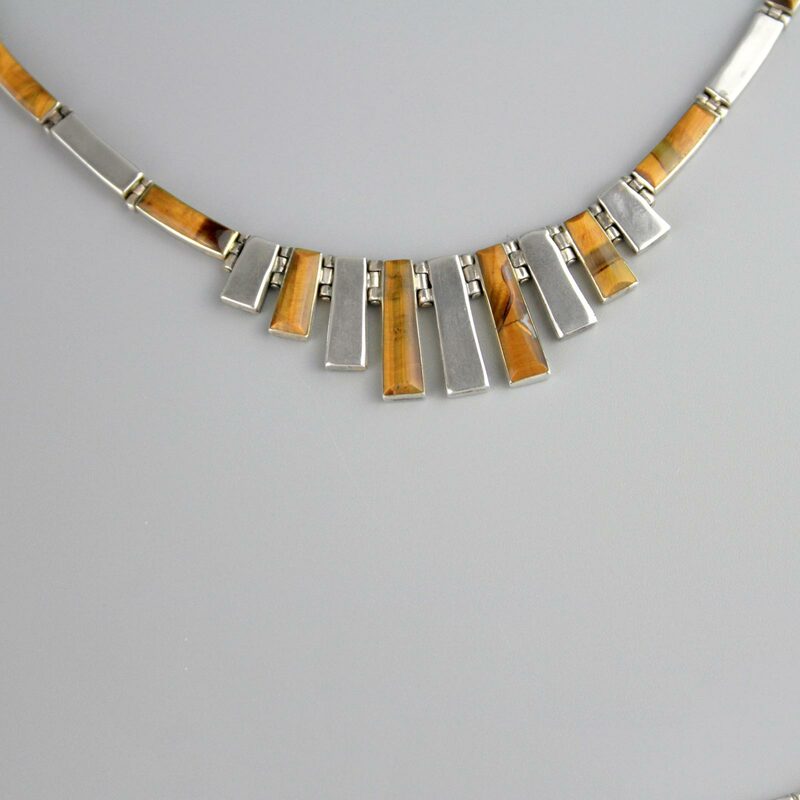 Beautiful alternating links, gorgeous rich caramel stones, elegant design and beautifully made. 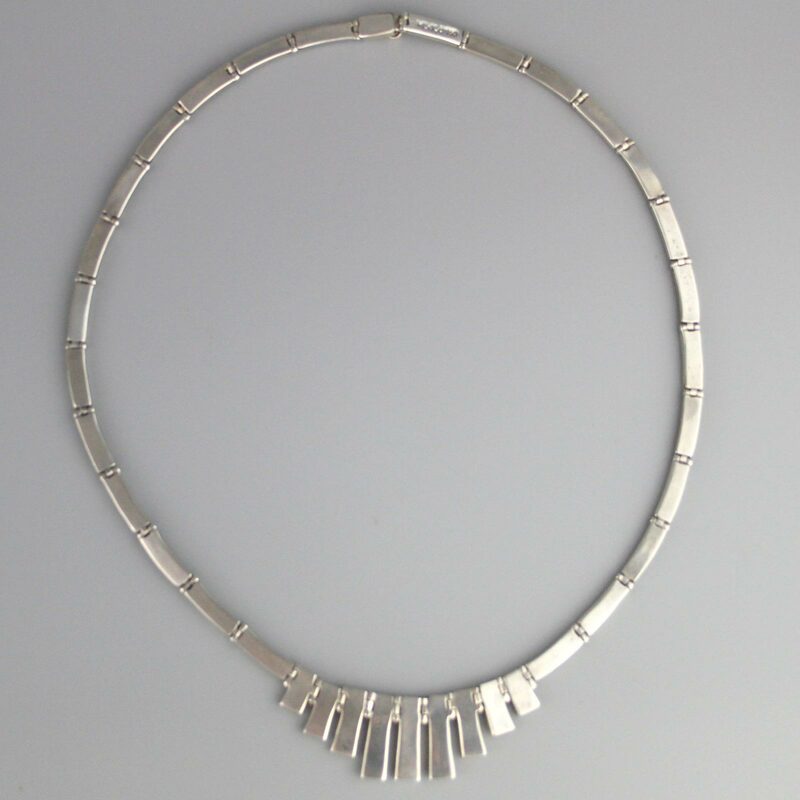 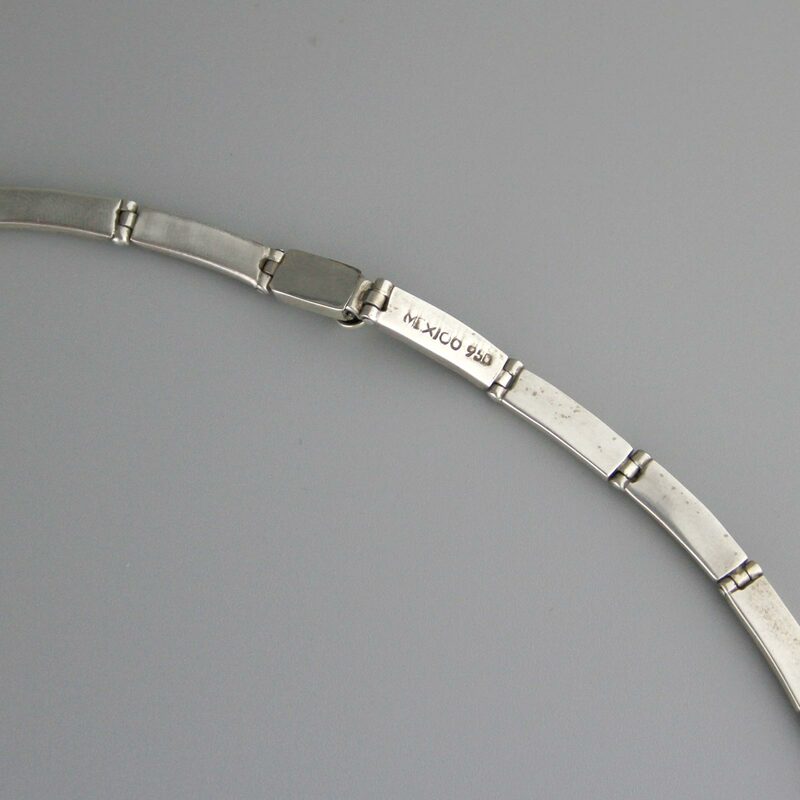 Secure tab clasp,gong enough to fit most necks, nice quality inlay necklace. 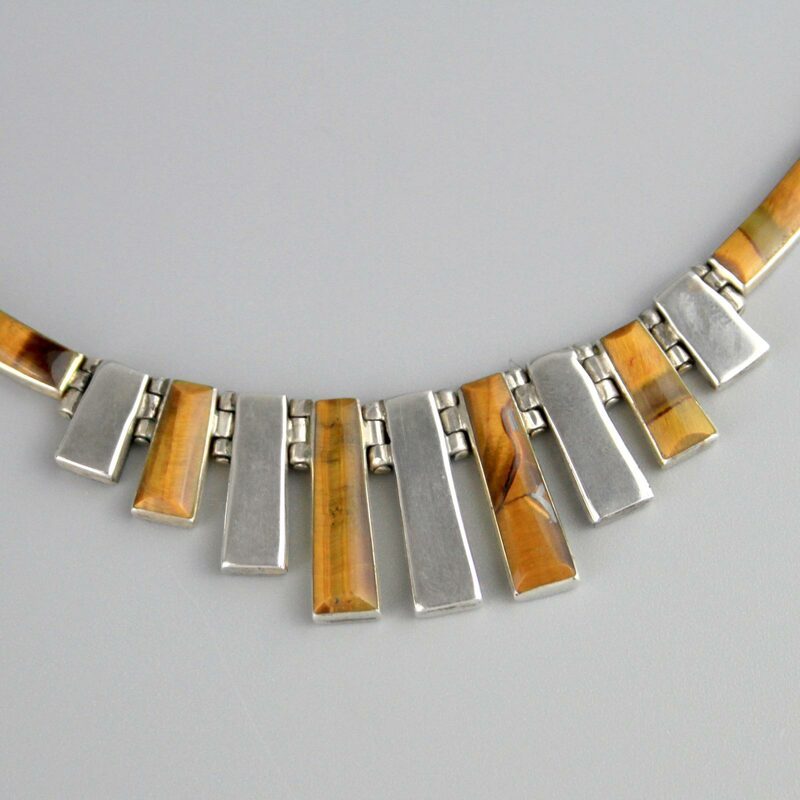 A semi-precious yellow-brown banded quartz with a silky lustre, so called because of it's similarity to a tigers eye.